Recent release “Poems from the Angel Diaries” from Page Publishing author Donnie Jones is, at its core, a love story recounted in installations of soulful prose. Donnie Jones, a lifelong writer and native of Blacksburg, South Carolina, has completed his new book “Poems from the Angel Diaries”: a series of inspired essays and short stories rooted in love. Published by New York City-based Page Publishing, Donnie Jones’s heartfelt prose is an inspiring ode to the power of love. 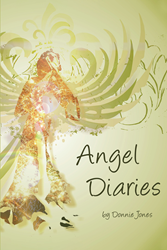 Readers who wish to experience this moving and thought-provoking work can purchase“Poems from the Angel Diaries” at bookstores everywhere, or online at the Apple iTunes store, Amazon, Kobo, Google Play or Barnes and Noble.